University of Nebraska Press, 9781496207876, 156pp. Divided into three sections covering the recent past, our current era, and the world to come, the stories gathered here—with characters stymied by loneliness, motherhood, illness, even cataclysmic climate change—interrogate the idea that so-called better times ever existed, particularly for women. Sara Batkie was born in Seattle and raised in the wilds of Connecticut and Iowa. Her stories have been published in various journals, received mention in the 2011 Best American Short Stories anthology, and honored with a 2017 Pushcart Prize. Currently she lives in Brooklyn and works in Manhattan as the Writing Programs Director for the Center for Fiction. 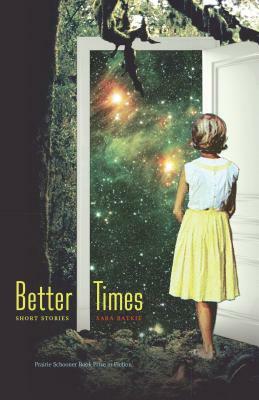 “Better Times is a book of quiet passions, narrated with grace. In these nine finely observed stories Batkie explores with empathy the impolite agonies that change the gravity of her characters’ worlds.”—Tracy O’Neill, author of The Hopeful?